H is for Hat. But it's also for what the Hell? It's up and runs from A to Z. I'm pretty sure I don't need to ask what you all think of this issue. Exchange while volunteering at the book fair. Other Volunteer Dad: So what do you do? Me: I manage a yarn shop. Me: No, a yarn shop. (he looks disappointed) You were about to think I was a lot more interesting, weren't you? I've been pretty obsessed with makeup lately. 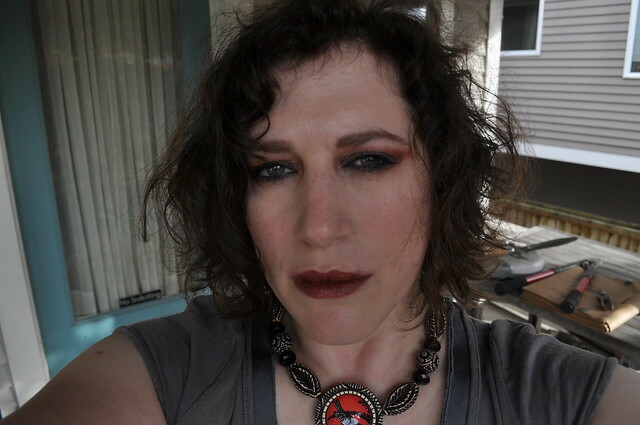 I realized yesterday that today's Halloween party at Younger Son's school (that I never dress up for) would be a great opportunity to go insane with makeup. And I have. 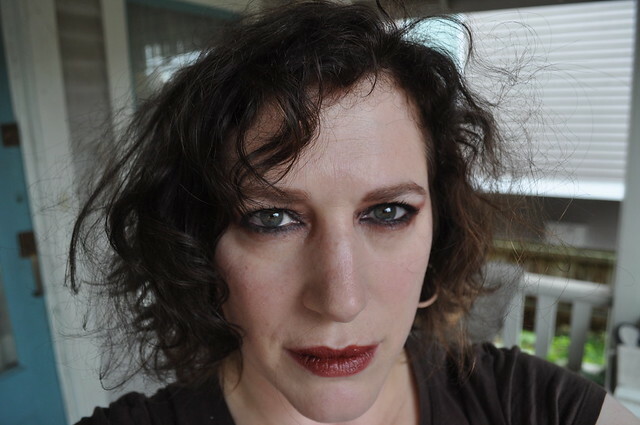 This is my take on a vampire queen look inspired by Pixiwoo. I don't know if it's scary to you but it made my kids scream when they saw me! ETA: I made my hair a little crazier and added an appropriate necklace. 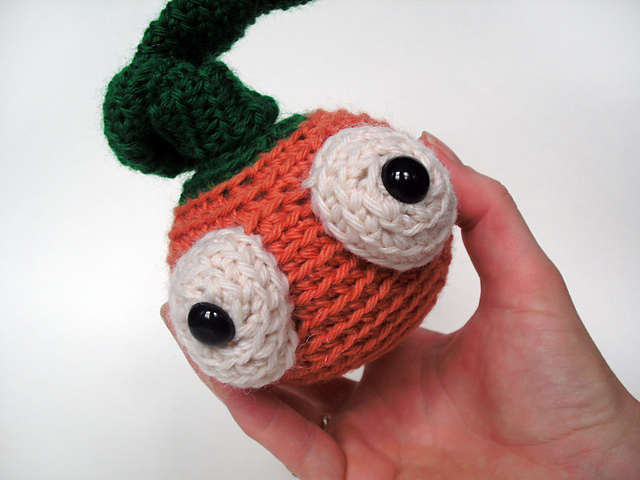 Looks like Jack the Pumpkin needs to get his thyroid checked. 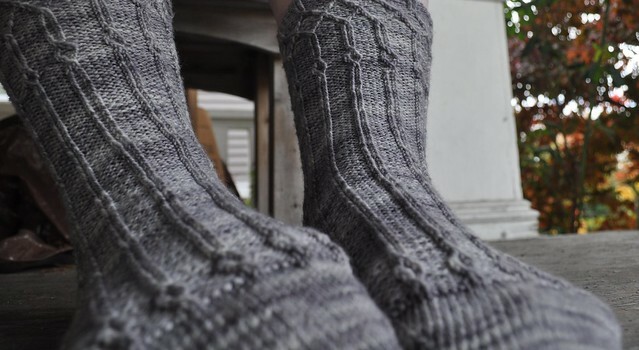 Notes: These socks were in the first issue of Interweave Knits I ever bought, Winter 2003. 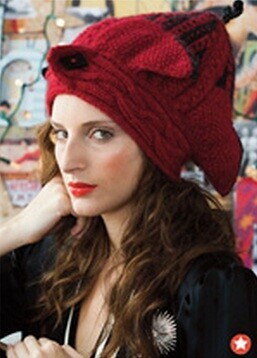 They have been on my mental knitting list for all these years. I finally started them in February then stalled. 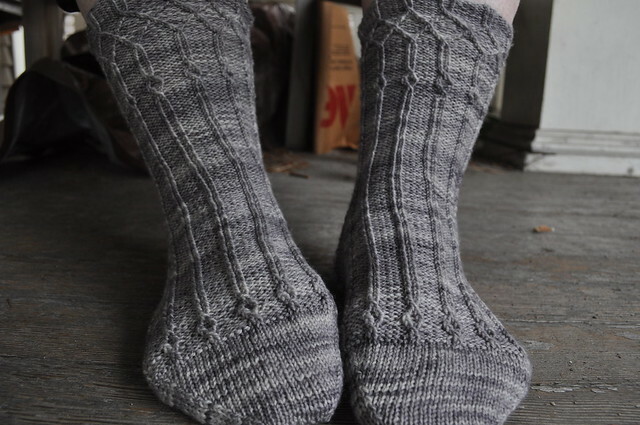 It took me seven months to knit the first sock and a week to knit the second. It's a very easy pattern but I had lots of trouble counting my rows in this dark yarn and was forced to wear reading glasses when knitting them at night. Notes: I wanted a quick and easy pair of warm slippers to wear around the house. This pattern is really fun and fast! I think the slippers are very cute and I love wearing them because they are so squishy. I've been wearing them a lot which is why they are covered in dog fur. 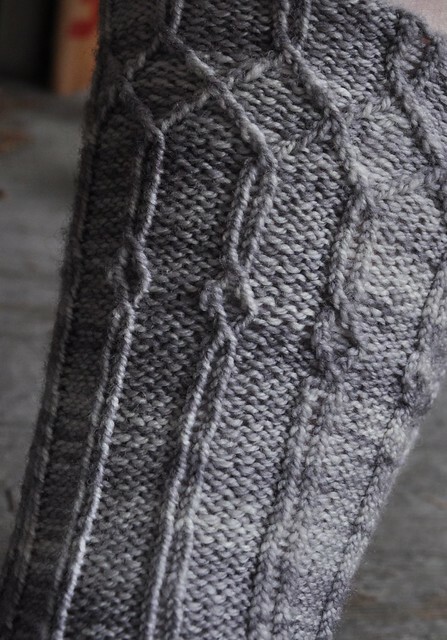 The yarn I used was spun by me when I was suffering from tendinitis. I spun it using just my right hand. It was a challenge and it came out very thick. It was perfect for these slippers and I used but every last bit of it. 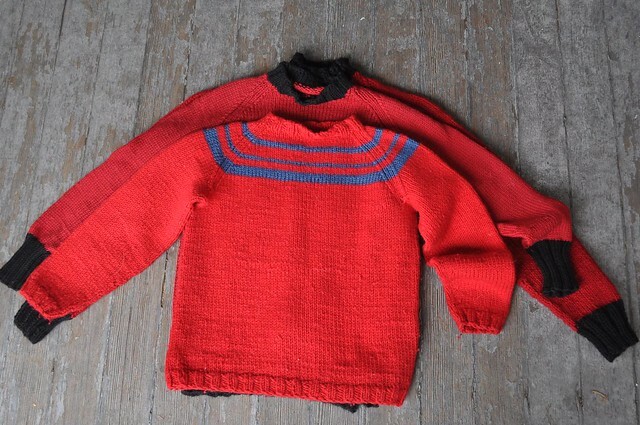 Notes: Younger Son no longer fits in the sweater I knit for him last year (that he wore nearly every day last winter) so it was time for yet another red sweater. I completely improvised this based on Elizabeth's Percentage System (info is available in all of Elizabeth Zimmermann's books). I made the neck a little too high but my son likes it because it's very cozy. Holiday preparations are continuing. 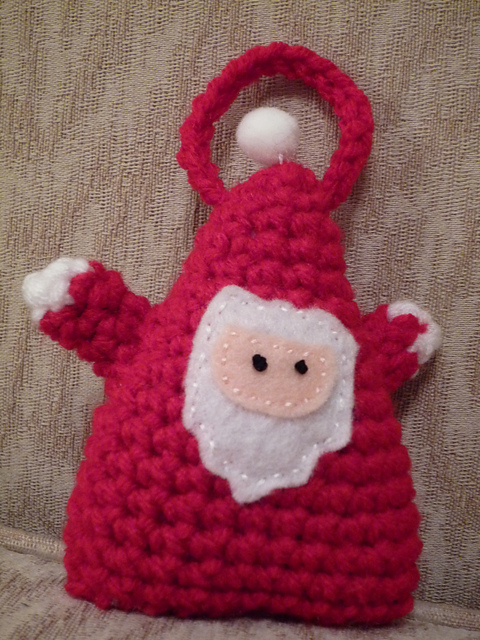 Today's entry, Santa Pig! Sung to the tune of Spider Pig. Fresh from the spring runway, the "I Ran Out of the Hairdresser's in the Middle of My Root Touch-up" collection. 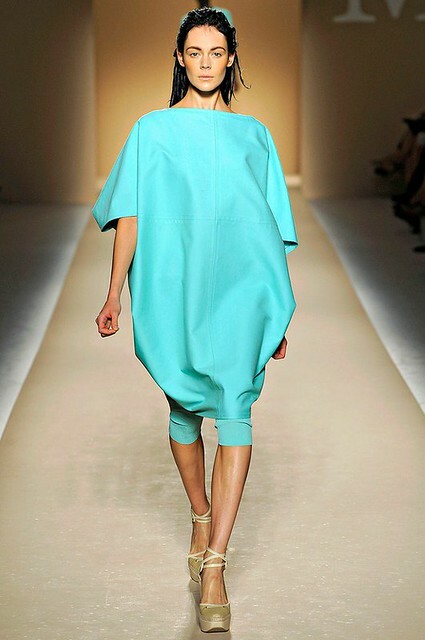 To best recreate this look we recommend capturing and skinning your own settee. Life feels a bit stressful right now. I'm trying not to start too many new projects so I don't feel overwhelmed. 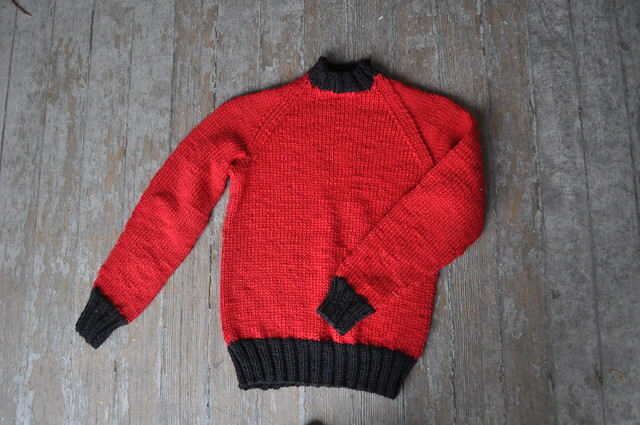 I knit my younger son his annual red raglan sweater in seven days in bulky yarn. That felt really good. I went to Portland for Oregon Flock and Fiber but never made it to the fair. I did do a lot of tax-free shopping. I've become obsessed with makeup for some unknown reason and watch Pixiwoo and Lisa Eldridge videos all the time. Maybe I just like their accents. 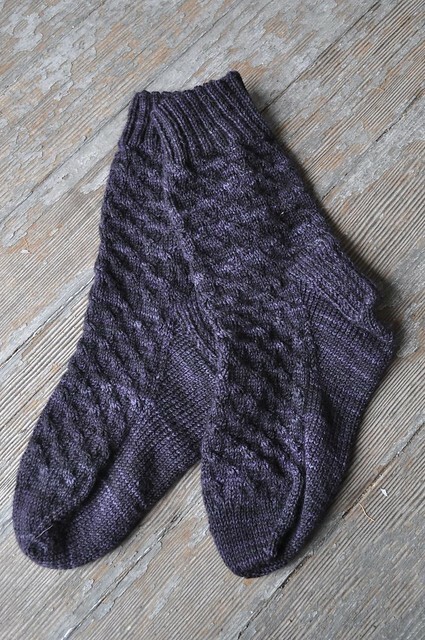 I finished the first Uptown Boot Sock last night that I started in February. 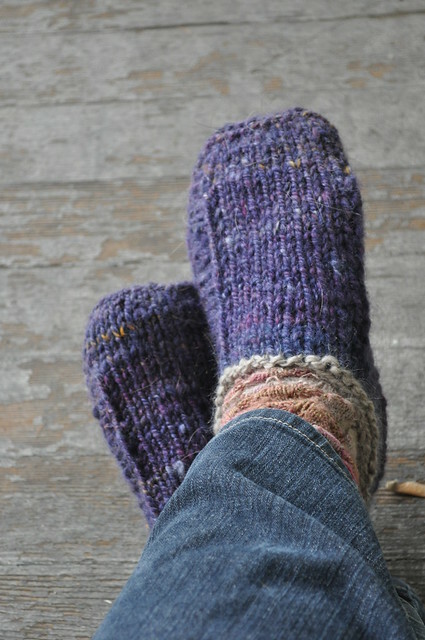 I'm thinking of knitting these slippers in some handspun as a quick diversion. 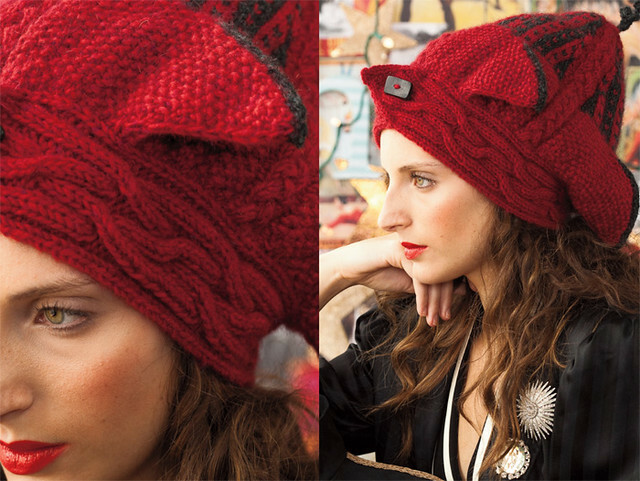 Marnie MacLean is coming from Portland for a Twist Collective trunk show at the Seattle Knitters Guild tomorrow. It's free and open to all.